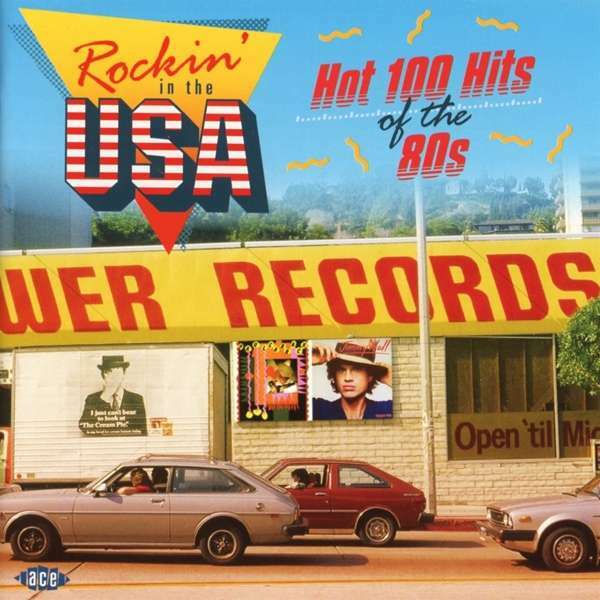 Der Artikel Rockin' In The USA: Hot 100 Hits Of The 80s wurde in den Warenkorb gelegt. • The 1980s were probably the last real decade for the pop single. 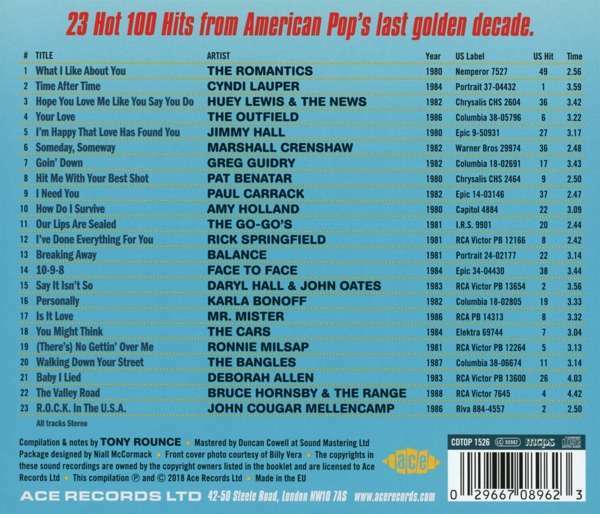 It was certainly the last one in which every record that made the Hot 100 was an actual vinyl single. Radio was still breaking big hits and new artists, rather than TV talent shows and the still-nascent Internet. And people still rushed to their local record store to buy what their local station was playing, rather than streaming or downloading it. 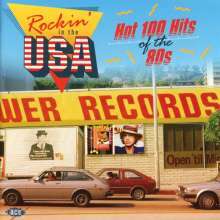 is delighted this month to premiere “Rockin’ In The USA”, its first anthology of 1980s US Hot 100 hits. • 80s radio made hits for a lot of new names. As had been the case in earlier eras, many of them are still around 30 to almost 40 years later, while the careers of others virtually began and ended with their lone hit. Our earlier series have always embraced both the renowned and the obscure, and this is no different. • Here are almost two dozen of the finest US hits of that decade, all presented as they were originally heard coming over FM Pop radio right across America. Many were also UK hits, and all of them should have been. Some of the best pop and rock of the 80s you will ever hear on the same CD is present on “Rockin’ In The USA”. We are sure it will prove to be as popular as its sister series “The Golden Age Of American Rock’n’Roll”, “Chartbusters USA” and “The Hit List”.